St. John girls learn that basketball is more than just a sport. 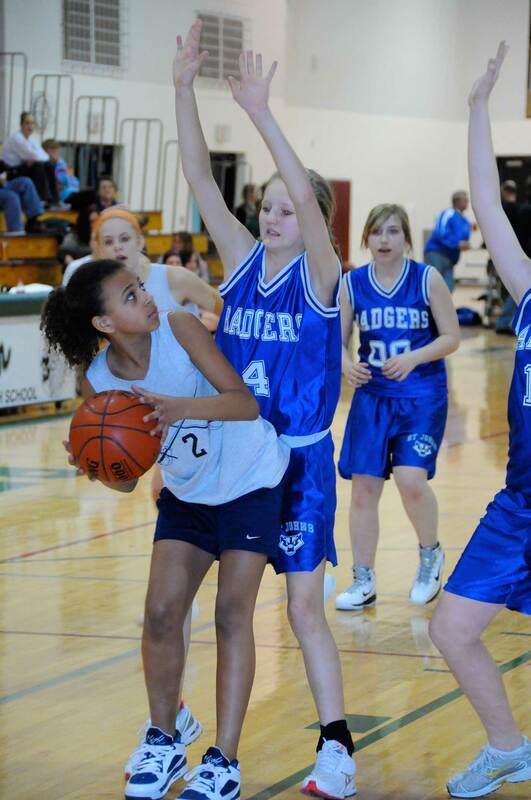 Not only do the girls learn the fundamentals - dribbling, passing, shooting, and running plays - but they also learn teamwork and playing with sportsmanship and dignity. Practice is a time to learn and hone skills and build up teammates. Games demonstrate their learned skills and test and teach good Christian character toward their opponents and fans. Practices are Tuesdays and Thursdays after school from 3:15 - 5:00 p.m. during the regular season. Depending on the number of girls going out for the team, St. John may be able to field two teams, a 'B' team for grades 5 and 6 and an 'A' team for grades 7 and 8. There are typically one to two games per week running from November through early February, and there are several tournaments during the season. The league is made up of parochial schools from the surrounding Berlin and Fox Valley area. Like girls basketball, boys basketball teaches fundamentals and sportsmanship. St. John has typically had enough players to field two teams. The 'B' team consists of younger boys who are learning the basic skills of the game, while the 'A' team works on more difficult plays and strategy. Practices are Mondays and Wednesdays after school from 3:15 - 5:00 p.m. during the regular season. Both boys and girls games are played on the same day starting with the girls team. 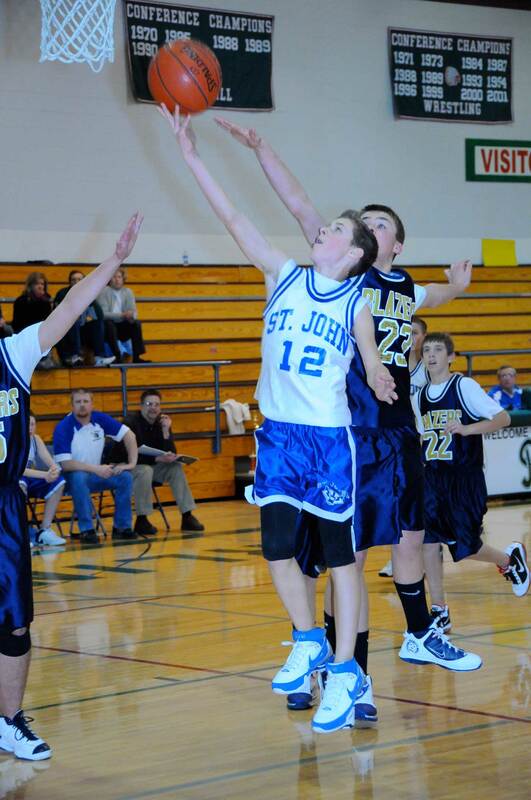 Like girls basketball, there are several tournaments available for our boys team to complete and get game experience. St. John is part of the NEW PL League Conference. The 'A' team boys play in the ECC tournament each year in March.